San Francisco Giants: Is Michael Morse The Answer? The San Francisco Giants have finally found their everyday left fielder. 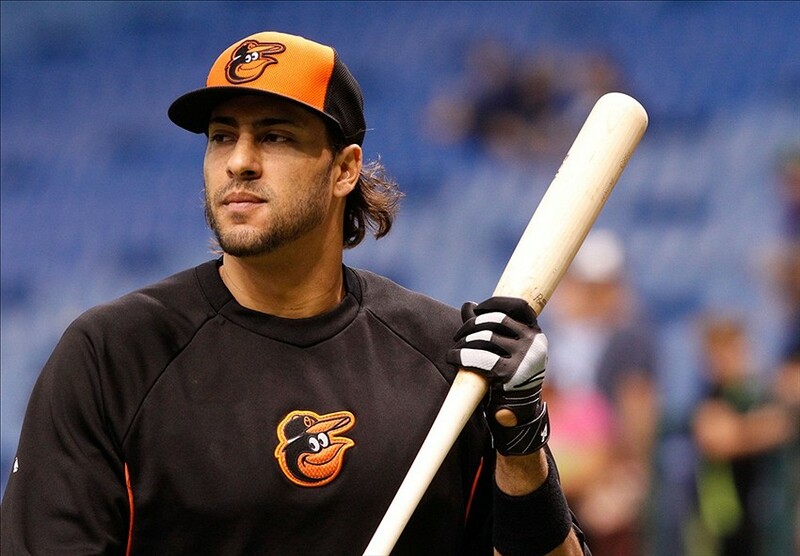 The Giants agreed to terms with Michael Morse on a one-year contract worth $6 million plus incentives based on plate appearances, which could lead to $3 million more. 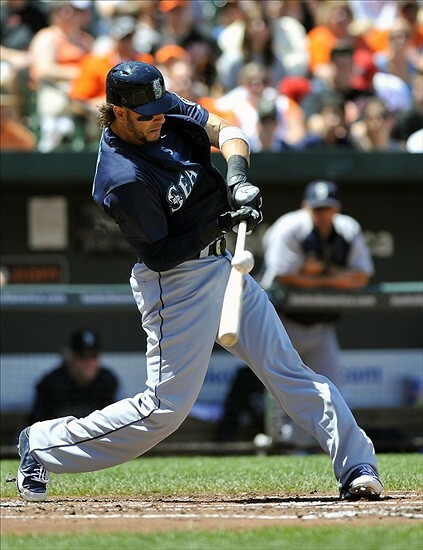 Morse has played nine seasons in MLB for the Seattle Mariners, Washington Nationals and Baltimore Orioles. Morse, who will be 32 on Opening Day next season, is expected to be the starting left fielder for the Giants, but he can also play right field, first base, and even some third base. Last season, he struggled at the plate because of a wrist injury as he hit .215, had a .270 OBP, and a .381 slugging percentage. He did have 13 home runs and 27 RBI though in 88 games. The Giants are hoping that he can re-create the great production he had in the 2011 season with the Nationals when he hit .303 with 31 home runs, 95 RBI, and he had a .360 OBP and a .550 slugging percentage. Morse brings many things to the Giants that they severely lacked last season. First of all, the Giants needed a left fielder with right-handed power. One of Morse’s strongest qualities is his immense power. Last season, the Giants had some of the worst production from left field in all of MLB. Giants’ left fielders hit just five home runs last season, the fewest in the majors, and had a collective .651 OPS, the lowest of any position for the Giants. AT&T Park is known as the ballpark where power goes to die. However, Bochy believes that Morse will be able to translate his power to the confines of AT&T Park, even to the more daunting right field side. Another quality that Morse brings to the Giants is his versatility. He’s not known for his defensive prowess, but his ability to play multiple positions will prove to be advantageous for the Giants. He was drafted as a shortstop, and, as mentioned before, he can play both corner outfield spots, first base, and third base. Bochy has said that Morse will be in the starting lineup every day, mostly at left field, but also sometimes at one of those other positions. Lastly, Bochy believes that Morse will be a great fit in the clubhouse. Bochy knows Morse already, because he coached him on a traveling All-Star team in Taiwan in 2011. Bochy commended Morse’s impressive work ethic and energetic personality. He seems like a Hunter Pence-esque type of presence in the clubhouse and on the field, mostly because of his quirkiness and awkwardness. The Giants have a history of acquiring players who are coming off of a poor year, production-wise, and getting fairly good production from them the next year. The Giants saw this pattern when they acquired Cody Ross, Aubrey Huff, and Pat Burrell in 2010. They’re hoping to receive this same type of result with Morse. The Giants will have many options in terms of their batting order. Bochy said that he likes putting Brandon Belt, Buster Posey, Pence, and Pablo Sandoval in the number three through six spots in the batting order, but this might change with the addition of Morse. Bochy said that Morse could possibly hit fifth, sixth, or seventh. He likes keeping Belt in the three-hole, but depending on pitching matchups and who is hitting well at a given time, the lineup could change day-to-day. The Giants will have a starting lineup that will look something like: Pagan CF, Scutaro 2B, Belt 1B, Posey C, Pence RF, Sandoval 3B, Morse LF, Crawford SS, and the pitcher’s spot. If everyone is healthy, this is a pretty strong lineup. The Giants will certainly have more power than they had last year with the addition of Morse, and they will have a good balance of speed, power, opposite-field hitting, etc. In addition to a better starting lineup, another great part of the Morse signing is that it allows Gregor Blanco to come off the bench. Blanco was over-exposed last season because he had to play an everyday role. Blanco was supposed to platoon with Andres Torres, but when Pagan went down with his hamstring injury, Blanco was forced to start every day, which affected his offense. Blanco will most likely be the Giants’ fourth outfielder and come into games as a defensive replacement in the late innnings for Morse. Since he can play all four outfield spots, he will earn some spot starts too, in order to give a rest day to any of the outfielders. This is the best role for Blanco, and he will be a valuable player off the bench for the Giants this upcoming season. Morse has been labeled as injury-prone, but if he can play the majority of next season, he will be an excellent fit for this Giants team. As Bochy said, Morse will prove to be worth the risk. He provides some much-needed power, versatility, and a strong work ethic. If healthy, Morse could be the answer to many of the Giants’ problems from last season.